You know how the beauty industry went all bold brows crazy, then Kylie Jenner lip crazy, well everything has been contour crazy lately and I'm not going to lie, I've jumped straight on to the bandwagon! 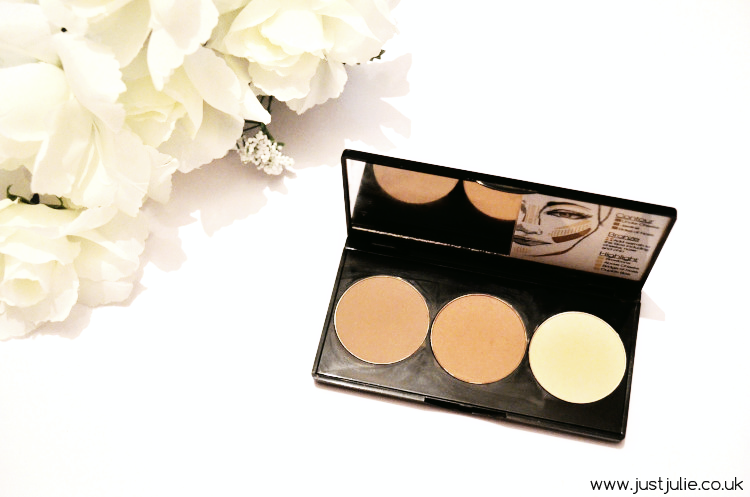 The Smashbox Step by Step Contour Kit that I featured in my April Beauty Favourites was the first contour palette that I purchased, so it seems only fitting to feature this in the first instalment of the Contour Edit. I mentioned in my favourites post that I had wanted to purchase this before, but the size of it put me off. Luckily I had a fair few Boots points so I decided to bite the bullet and pick it up and I'll be honest, I haven't regretted it one bit! To start off I will say that I'm totally useless, this does come with a brush, but I had washed it and totally forgot to photograph it. The fluffy brush is slanted, so that it makes applying your contour easy, however for me it's just not the right size to contour with, so instead I just use it to apply the highlight shade. It's an ok brush, nothing to write home about though, and I have a million other brushes that can do the same job, but better. The kit also came with instructions to show you how you can contour on different face shapes. I think that's a great addition, as we all watch YouTube videos and can make the mistake of copying our favourite guru, however 9 times out of 10 their face shape is completely different, so the instructions are a welcomed addition in ensuring we all contour in the best way... unfortunately I did throw mine out, so yeah another thing I can't show you! 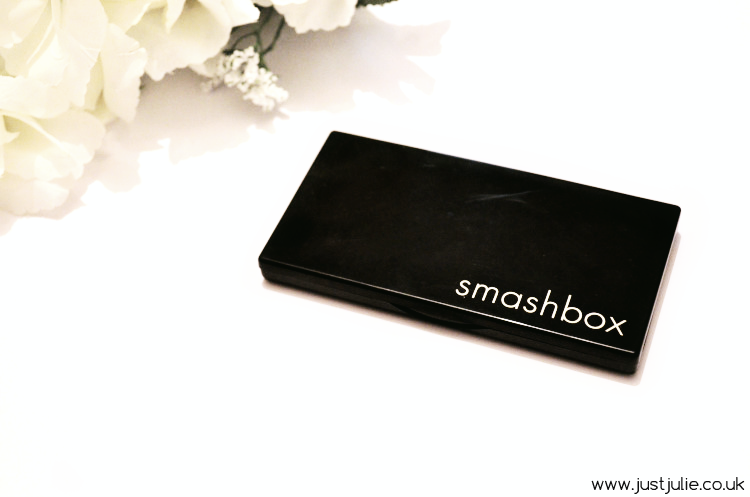 The Smashbox Step by Step Contour Kit comes in a sleek black patent hard case and includes a mirror so you can use this on the go. 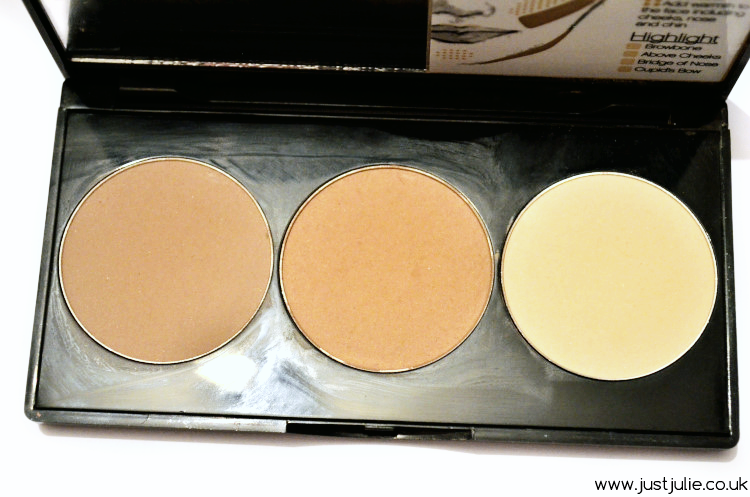 There is three shades in total, Contour, Bronzer and highlighter and all three pans are the exact same size. For me the colours are all on point. I start off using the Bronzer, which is matte and has a warm tone, just above the hollows of my cheeks, I then dust it around the temples of my very large forehead and always make sure I bring it down on to my neck so I match up. I like the bronzer. It's not too orange on my skin tone, however I could see this coming off a bit too orange on very pale skin, but for me this does a great job at warming up my skin tone and adding a bit of colour into my normally dull looking skin. Next I move on to the Contour shade, which is a cool matte brown with a grey undertone, the perfect shade to add shadows to your face. Now I use the tiniest amount of this as it's very pigmented. I apply this right into the hollows of my check to carve out my non existent check bones and then I blend it in with a stippling brush, as I've made the mistake of applying too much in the past! I always then bring it up on to my temples and just under my jaw line. This shade to me is perfect for contouring, but like I said, a little goes a long way! Finally I apply the Highlighter shade, which again is matte, yet it does somehow seem to have a slight sheen to it, depending on what light you're in, it's barely noticeable though. The light warm yellow tone is very similar to all the banana powders out there from various other brands. 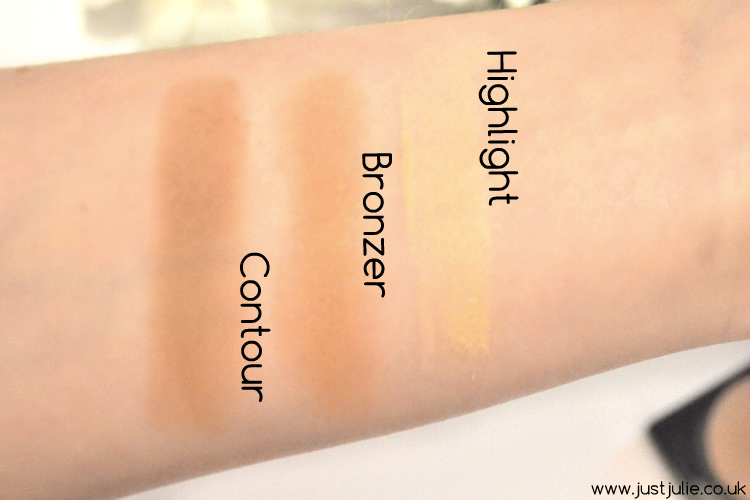 If you swatch the shade, it can look a little yellow but trust me, applying it lightly on to your skin there is no yellow tone and it really does help to brighten and highlight. I use this under my eyes to set my concealer and always bring it up on to my check bones to further help them to pop and if I'm feeling a little crazy I'll apply some to the centre of my forehead. Honestly this palette is amazing. The texture of these powders are really smooth and they apply so easily to your skin. They're all very pigmented so a light hand is needed though. With all the emerging contour palettes coming to the market I really do think this will hold it's own as it's pretty remarkable. I just wish it was a little bit bigger, for me that's the only downside, especially considering the price, having said that, the price would not put me off purchasing this again, as I haven't put it down since I bought it! Have you jumped onto the contour bandwagon yet? What are your thoughts on contouring? Do you think it should be kept for special nights out or is it a daily thing you just need to do? I'd love to hear your thoughts.